This a variation on a post from a few days ago. This shows how to create a closed Catmull Rom spline. 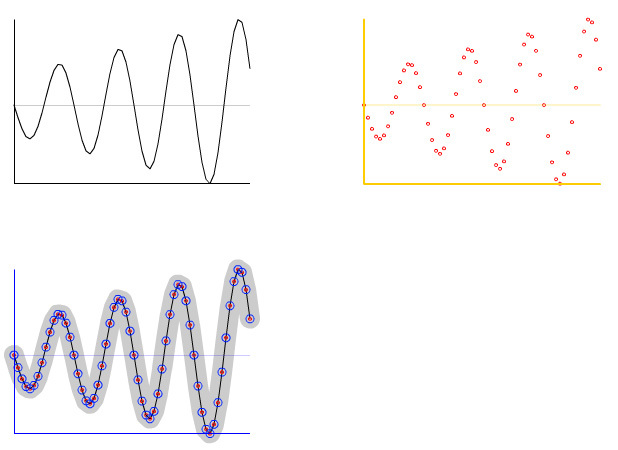 This snippet draws Fermat's Spiral. 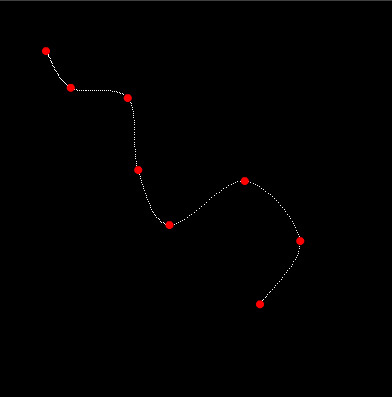 This is snippet draws a Catmull-Rom spline based on 4 control points. A nice feature of Catmull-Rom splines is that they always pass through each of their control points. I first learned about Catmull-Rom splines somewhere in the processing forums. I got all my info for this snippet from this wikipedia page. There is a good deal of room for optimization here... I may post an optimized version in the future. 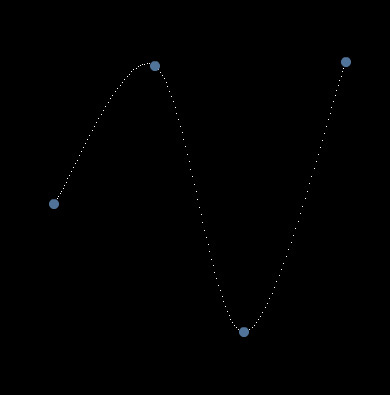 This is the start of my exploration of Cubic Hermite Splines (like Catmull–Rom)... I wrote this snippet while skimming the wikipedia article on the subject.... at first I wasn't sure if this was correct, but I added tangent calculations for a Catmull-Rom and it worked nicely... will post that tomorrow.